Bottled water is EXTREMELY expensive: Most types cost the consumer from 2,000 to 10,000 the cost of drinking tap water. It is an environmental hazard: What you drink today will cause problems for many generations. 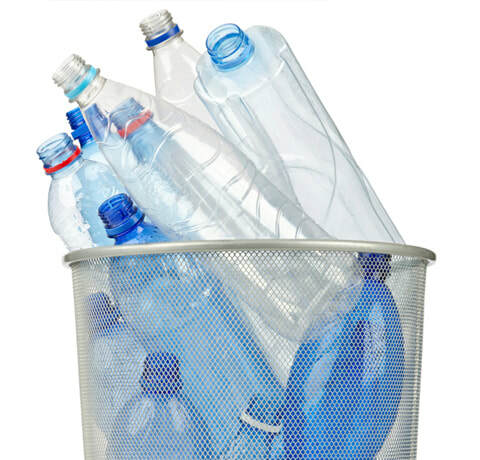 75 percent of used plastic bottles are in landfills, streams, lakes and oceans. They leach harmful chemicals into our water supplies forever, endangering fish and wildlife. Bottled water is not better than tap water: A study by NRDC showed 17% contained levels of bacteria, arsenic and other toxic chemicals too high to pass strict EPA safety standards. And approximately 25% is directly from the tap. Plastic water bottles are not a wise choice for health: Consumers are warned not to drink from plastic water bottles stored in a hot car? Because water is a solvent; that’s why things dissolve in water. It may take thousands of years, but as their chemical compounds slowly dissolve the plastic bottles will break down into smaller pieces. Not good news for the environment and not good for you. Alternatives: Filling portable bottles from your own bottleless filtered water system provides consistent water quality at an extremely low cost compared to bottled water. You can choose the type of filtration that is just right for your needs. For best taste and peace of mind, be sure to forego plastic portable containers and choose glass, ceramic or metal instead.